IMMOPOLSKA is a brand that since 2007 stands for quality, responsibility and continuity in providing a full range of service in Warsaw’s rental property management. Rental property management is to ousourse the management of owned real estate for rent to a specialized, trusted company with a proven track and experience. Rental property management, or otherwise lease management, is to replace the property owner in all activities related to the letting and subsequent property supervision over the course of the lease agreement. What does rental management consist of? on-demand tenant statement reports containing the balance of advances to the utilities, after having deducted the costs paid to date. invoice issued for our services covering incurred costs of property management – especially important for those of you who keep full accounting. companies or banks with rental property in their assets’ portfolio. The fist step to benefit from our services is a property management agreement and a power of attorney from the owner to perform activities covered by the agreement. Our remuneration is on commissions basis and is calculated as a percentage of funds collected from the tenant. The company issues invoices for all our services. Property management is not the same as hiring the property from the owner in order to further sublet. At IMMOPOLSKA we work as property managers only, which means we act as the owner’s representative, based on the power of attorney. Therefore, any rental contract for property managed by IMMOPOLSKA is concluded directly between the owner, represented by our company, and the tenant. Our company is not hiring flats from owners and sub-let them to tenants. What are the formalities to start the cooperation with your company? The property owner signs the property management contract, with its inseparable part, the power of attorney for our company to empower us to conclude on client’s behalf the rental contracts, as well as perform all daily tasks linked to property management, including taking simple decisions related to ensuring the proper functioning of the property. The power of attorney - does it have to be in a form of a notarial deed? There is no requirement that a power of attorney to carry out activities related to renting a property and providing its daily support would have to be in the form of a notarial deed. Sometimes, however, the owners give us power of attorney signed in front of a notary, which increases the reliability of the proxy in the eyes of potential tenants and helps to rent the property more efficiently. What are the steps of starting a cooperation? 1. The owner contacts us to obtain the basic information about our services. 2. We meet with the owner in the apartment that is subject to be rented. 3. We work on developing the project of the property management contract, while collecting all necessary data on the property and its legal status. 4. We conclude the property management contract. 5. We sign a hand-over protocol of the property transfer, the keys, remote controls, documentation, etc. 6. We perform a tenant search. 7. The rental contract is signed and the property is handed over to its new tenant. 1. A fixed monthly charge during the period in which the flat is rented. 2. A leasing fee at the signature of each new rental contract, followed by a reduced ongoing monthly fee during the period in which the flat is rented. All fees are proportional to the revenues generated be the property. The client chooses the option of calculating the remuneration at the signature of the management contract. Then the option can be changed each time the flat turns vacant. For the period of the vacancy, between the previous and the next tenant, we do not charge any fees. What characteristics should meet a flat for rent? – aesthetically neutral: painted in neutral, light colours, clean, sunny. Should I furnish the apartment before renting? This is not necessary, especially if the flat has 3 or more rooms. Tenants of larger apartments often have their own furniture. For smaller apartments it is more likely that the tenant will expect the furniture, but it is better to wait with the decision to purchase anything until the prospective tenant is found and only then determine with him the range of necessary objects. Nevertheless, the owner of small unfurnished flat should always have in mind a budget for some furniture. My apartment is in the style of the 70s - can you rent it? Certainly yes, but a factor that decides about the eventual success is the level of rent expected by the owner. Once the proposed price is excessive in relation to the market level, the apartment will be harder to rent. However, if the price is set at an attractive level, any property can be rented. Losses resulting from the vacancy related to the inflated price are often much higher than the loss of income associated with the owner’s agreement to reduce the level of rent. I have an apartment for rent for rooms - how much can I get from the rent? Our company does not manage apartments that are meant to be rented for rooms. Can I sign a management contract for an apartment, which already has a tenant? Yes, we accept the management of flats and premises with an ongoing rental contract. However, if the owner takes such a decision because of the problems with his tenant, it is important to thoroughly analyse the actual state of the situation, which will help us choose the best way to resolve the deepening conflict. How the cash goes from the tenant to the landlord? The funds paid in by the tenant to cover rent and advances for utilities consumption, arrive at a special bank account. From this account we pay the building community charges, as well as utility invoices and any other charges which are to be paid in line with the the owner’s instruction. Then, the remaining amount is transferred to the landlord’s account. In this way, the owner receives the ‘net’ funds, free of any further charges, that had been paid by our company. The exception is any applicable taxes, although it is also possible to delegate the tax reporting to our company, so that even the taxes are calculated and paid by us in the name of the owner. The company does not accept cash transactions – all transactions are done by bank transfers. Does the company do tax reporting and pays all taxes for the owner? At the express request of the owner, there is a possibility of calculating and paying the advances for simplified income tax (PIT-28). The tax reporting service is part of our scope of activities defined by the management contract and is not additionally billed. How do I know if my monthly revenues are calculated correctly? Each customer receives a quarterly financial report including all income and expenses, which are charged into his ledger. Such a report can also be ordered at any time for any period. If in doubt, the owner can consult full documentation of costs, as the company keeps it safe and organised so each of these documents is available at any moment. What happens if the tenant stops paying? Our policy towards tenants is based on building relationship in such a way, that if there is a loss of financial stability or any other random situation that influences the timely payments, this information gets to us very soon. Therefore we have the ability to react in advance and propose solutions that are mutually acceptable. In case we are dealing not only with delayed payments, but also with the difficulties in contact with the tenant, then we undertake formal and legal steps, according to our experience resulting from the previous cases. Possible court procedure is an eventuality, which – in the conditions of the non-social rental market – occurs very rarely. Timeliness of payments from tenants is under our constant control. The application of our internal financial procedures developed for years exclude the situation where the non-payment escapes our notice and reaction. I would like to rent an apartment to a foreigner / couple / students / company etc. Can you guarantee that in the management contract? For each rental contract the final decision on a certain candidate for the tenant is taken by the apartment owner. We consult the owner as for the interested candidates, always presenting our recommendation. But it is not always possible to fully respect the initial owner’s guidelines as for the tenant profile. In fact, quite often it is the actual profile of the property that influences the type of candidates interested by it. For this reason, we avoid defining at the early stage of the management contract the exact profile of the prospective tenant. Nevertheless, each time it is the owner who decides whether he accepts the candidate. How often can I visit my rented property? The landlord can inspect his property at reasonable intervals, but in a way not to disturb the tranquillity of the tenant and after prior arrangements as for the time of the visit. To maintain good relations with the tenant it is advised to determine the details of such a visit. Too frequent inspections by the owner do not help to build mutual confidence between the landlord and the tenant. In the case of properties managed by our company the owner has no need for personal visits in his apartment(s). Does the tenant have the right to declare his residence at the apartment without my permission? The legal obligation to declare ones residence is still in force and comes out from the law, so everyone – including a tenant – is subject to declaration of residence. The declaration of temporary residence in a rented apartment is a tenant’s legal obligation towards the municipal office. The role of the landlord is to confirm the tenant’s stay and this role can not be declined, since the rental contract is signed. Does the company maintains regular contact with tenants? If payments are made on time and we do not receive any alarming signals from neighbours or the building’s administration, our contact takes place on the occasion of reminders to tenants on different mandatory technical inspections and work carried out in the building. Two months before the contract deadline tenants are probed for their willingness to extend the contract for a further period. We always contact the tenants whenever any payments are not settled in a timely manner, or the advance for utilities is not sufficient to cover the incoming invoices. Who covers the cost of repairs of household appliances in the apartment? – if the crash is caused by the natural ageing of the equipment being normally used or achieving a high degree of wear, then the repair or replacement of the equipment is charged to the owner. – on the contrary, if the fault is caused by tenant’s incorrect use, then it is him to cover the cost of repairs. If an accident happens, the tenant should report it to us first. Then we will try to determine the cause of the fault consulting the manufacturer’s authorized service for a eventual repair cost estimate. Should the owner be charged, we get his approval and issue a work order. What if the deposit is not sufficient to cover the cost of necessary repairs after the tenant moves out? We try to avoid such situation by offering tenants a possibility to meet at least one month before the end of the contract to verify the state of the apartment and identify possible damages, which should be removed before returning the premises. Should some of the defects be financed by the owners, we discuss it with them in advance. Most often, when it comes to a damage at the responsibility of a tenant, we know about them earlier than the date of return of the property. We aim then to convince the tenant to repair everything on his own, before returning the flat. If necessary, we can help him by recommending proven professionals. What is the scope of repairs charged to the tenant, and what to the owner? The scope of repairs charged to the tenant and the owner is governed by law . In case of the tenant, these are minor repairs and the maintenance of appliances and equipment, to which he has access. On the owner – in principle – are the expenditures related to renovations, replacement of various installations, window and door frames and generally all durable equipment of the premisses. For us, the secret of effective rental management in the ability to smoothly cooperate with tenants. Our experience has shown that relationships with tenants based on mutual respect and clear common rules deliver the best results for all parties. How much do I need to rent a flat? Before delivering the keys the landlord expect the following payments: (i) guarantee deposit, which usually equals to one month rent, (ii) rent for the first month or pro-rata if the first month is incomplete, (iii) utility advance for the first month of lease. Our commission is due within three working days from the date of signing the contract. Does the landlord has right to raise the rent during the contract? If the contract is concluded for 12 months, then the conditions can not be changed without the agreement of both parties. As a rule, there is no such circumstances that would justify the increase of the rent. If the owner plans to raise the rent at the anniversary date, the tenant is informed about it two months before the end of the contract. How and how often are the costs of utilities settled? The tenant pays a utility advance every month, which accumulates on his account and is consumed to cover the ongoing costs of utilities. Such costs are e.g. the water and heating bills presented by the building administration, waste disposal, but also invoices for electricity and gas. At any time the tenant may ask for a statement to know the current balance of funds gathered from his advance, after having deducted these costs. One has to be aware, however, that the current balance of the advance does not take into account the real cost of utilities used, because they may be settled only after reading the meters and calculating the final costs based of the actual amounts of water or electricity used, in line with the suppliers’ rates. Therefore at the end of the contract, when the apartment is returned, we carry out a final settlement. This is because it is only then that we know the final readings of the counters and we can compare it with the initial state, which gives us the actual consumption. The value of such consumption is calculated based on the suppliers rate used on invoices. This makes the tenant pay only for the cost of utilities actually used. The whole amount of utility advance is then finally settled, and the eventual difference goes back to the tenant or has to be paid by him. How do you settle the utility cost, when, instead of advances I am supposed to pay a fixed utility charge? In some cases, landlords decide to charge the tenant with a fixed utility charge. Such a solution make that the tenant pays a fixed monthly charge to cover the cost of all utilities (water, heating, electricity, etc.). This amount is not be settled in any way at the end of the contract. In other words, if the actual media consumption will be higher than the fixed charge, the difference will have to be paid by the landlord, and if lower, he will be entitled to keep the surplus. In practice, such a solution is perfect for smaller flats where, thanks to the use of fixed utilities charge, there is no need to prepare any settlements. If the rental contract is extended, we analyse the up-to-date utilities’ costs and adjust the level of the fixed charge to reflect the actual average. During holiday season, when no one will be in the apartment, can I stop paying the rent or pay a reduced rate? Each of the 12 months of the period for which the contract has been signed is perfectly the same from the landlord’s point of view, regardless of whether the tenant stays in the apartment or not. What can be important for the tenant, during the period when there is no one in the flat, there would be obvious savings on the utilities consumption, which will lead to a surplus on the monthly advance paid by the tenant. What happens if for some reason I can not pay the rent on time? If there is a risk of an delay of payment, please let us know as soon as possible. In this way, we can warn the landlord and prevent any misunderstanding, tension or conflict. In a situation when the payment – despite of our consent for the postponed term – is still due or there is no contact with the tenant, we start the debt collection procedure. It is important, therefore, that if the tenant faces any financial disturbances, he should quickly get in touch with us, because it is always easier to find an amicable solution before the debt builds up. Can you cover the last month's rent from the deposit, since there are no damages in the apartment? The deposit is a measure of protection in the event of costs arising from tenant’s improper use, or random damages that require repair. It is not meant to cover rent for any period of the contract. I travel a lot, but I know that I have to assure that the counters are read on time by the building administration. What happens if I can not do it? The timely counter readings are the responsibility of the tenant , especially that the information about the planned readings always comes up in advance. Very often, you can do it yourself and just pass it to the building administration via specified phone numbers, email addresses or to our office. In the absence of reading administration will evaluate the consumption from the average, which may badly affect the amount of future advances having to be paid the tenant. Is it possible to terminate a fixed term contract? A fixed period contract in fact already provides the term for which it has been concluded. Only when one of the parties does not comply with its conditions, it creates the circumstances in which it may be cancelled. In practice, however, the parties may foresee special circumstances when termination of the contract for a fixed period will be possible. The solution, which is always available regardless of the circumstances, is the compromise between the parties, to which we often refer to in our practice. How often will I be visited by the owner? As a rule, our landlords have no reason to visit their rented flats but if for some reason it would come to this, it takes place only after prior appointment with the tenant and in his presence. Will I have any contact with the owner of the flat? Any eventual contacts with the landlords pass through us. If for some reason there would be a need for a personal meeting, we can always arrange that, given the owner is available. What does it mean property management? It is a service of managing the real estate property, including among others the timely payment of any charges, assuring its good technical condition, maintaining contact with tenants, etc. In other words, it is taking care of an apartment on behalf of its owner and help tenants in all matters related to the use of the flats. Is it possible to sign a contract for two years? The rental contracts are concluded usually for a period of 12 months, and such a modes works well for both our owners and tenants. In general we avoid signing contracts for longer periods. The apartment includes a parking space in the garage, and I do not have a car. Can my rent be lower? If the rental contract covers an apartment with a parking lot, the tenant may, with the consent of the owner, sub-let the lot on their own, but for a period not longer than the original contract. It is very common for the buildings that people rent parting lots, either by the building administration, security clerks or a notice on building’s announcement board. Can the tenant get an insurance against possible damage that may arise in a rented apartment? It should be stressed out that that it is likely that the tenant may cause some damage, for which he would be solely responsible. Insurance companies have offers that let tenants to insure themselves against civil liability towards the owner or against loss of any valuables stored in the rented flat. The conclusion of such insurance is entirely up to the tenant and currently is not a legal obligation. Can I sublet one room to someone else? Based on our contracts the tenant is not authorized to sublet the apartment or any part of it, but if the owner is informed in advance of such intention and agrees upon that, it is not excluded. The tenant receives as many sets of keys, as many people have been declared in the rental contract to permanently stay in the apartment. Do you make a photographic documentation before giving the keys to the apartment? When preparing a hand-over protocol of premises photos are taken and added to the protocol to add an evidence to the description of the apartment, damages, etc. As a result, when the flat is returned, there is always a possibility to check and compare whether a certain damage was present at the beginning of the contract. The tenant can bring in his own furniture, but only if he guarantees to take it back when leaving, like that the owners have nothing against it. Can I remove some of the furniture from the apartment? 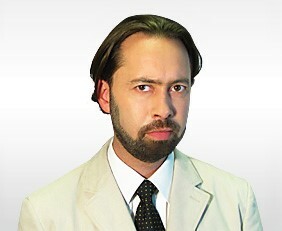 – in some cases, the owner accept to organize on his own the pick up of unwanted objects or agrees to dispose of them. Will the landlord buy me a TV? It happens that before signing the rental contract the tenant asks for providing some extra appliances or a specific piece of furniture and the owner agrees, but it has to be agreed in advance. Whatever the tenant buys something on his own, he has to take it with him after the end of the contract. If I buy some furniture, would the owner reimburse me when I move out? Furniture purchased by the tenant, without prior consultation with the owner, should be taken out of the apartment at the tenant’s move-out. You can propose to the owner its repurchase, but it has to be taken into consideration that not every landlord would be interested to accept it. LED lighting is nowadays much more cost effective. Could the owner replace all the bulbs in the apartment with those of such kind? Currently, there is a large variety of possibilities for selecting light sources according to ones own preferences, which is why we suggest that you buy the bulbs on your own, and when leaving you take them with you. The owner is not obliged to equip an apartment in a particular type of light bulbs. Is it possible to fix to the balcony a net against birds? In the case of bird nets it is advised to get an approval from administration building first, since sometimes these types of installations are subject to certain guidelines or architectural limitations, like the colour of the net or to which part of the façade it could be fixed, etc. The owner is not obliged to finance such additional equipment. If a furniture gets worn out, will the owner buy me a new one? Each situation is considered individually, we are guided by rational and logical explanation of the causes of destruction – if the furniture is broken, because it was misused, has been broken, etc., the tenant pays for repair / purchase of a new one. If it turns out that it has deteriorated because of normal use, the owner should provide a new one in its place. What should I do when my neighbours get noisy? In such situation, if you are disturbed during night hours or some incidents happen, please report the case to the relevant institution: the Municipal Guards or the Police. If someone listens to the music too loud but during the day, you constantly hear a dog barking, a renovation next door does not stop until late, the most effective way of acting is a polite conversation with a person cause a nuisance or contacting the building administrator (phone numbers should be published on the information board near the entrance). On the contrary, if the tenant expects himself a larger group of guests or is organizing a party, it is practised to excuse the nearest neighbours and let them know that we might get a little bit noisy and animated. This will help to avoid spoiling relationships with all frequently seen people, whose help can sometimes be indispensable. Can I rent an apartment if I have an animal? If the owner does not mind, then owning a pet does not exclude you from being a candidate for tenancy. It is very important that if you decide to move in with an animal, you must provide it with the right conditions, ensure cleanliness, hygiene, as well as good relations with the neighbours. If the animal causes a nuisance to other residents of the building (e.g. barking, howling, aggressiveness, etc. ), the consequences of such a situation rests solely on the tenant and can be the reason for termination of the contract. Do I have to notify anyone when, during my absence, I let my friends or family stay in the apartment? Just in case of any unforeseen situation it is advised to provide us with information about the long absence in the apartment or to leave us a contact data of the person temporarily staying in the apartment. It is not a duty of the tenant, but it would be advisable “just in case”. Nevertheless, it has to be observed that there is no more people staying in the apartment than it has been declared in the rent contract. It is important that people staying in the apartment do not disturb the peace of other residents of the building. What to do if something gets broken in the apartment? The best is to first call us with the information to figure out where to direct further steps. We will try to find the easiest way out, or call a specialist with the appropriate qualifications. It often happens that we have already come across a similar event and we have a proven simple solution. If not, we will direct the case to the manufacturer’s authorized service of the brand. Can I paint the apartment with my own taste? In such case, you always need to consult with the owner any details of planned painting, such as colours or brightness of paint to use. The tenant must also reckon that the landlord can expect a restoration to the initial colour at the end of the contract. The rental contract refers to 'small repairs and maintenance' of the apartment, how should I understand that? “Minor repairs and maintenance” of the apartment are the issues that relate to minor faults, which may occur during use, e.g. loosen door handle, worn tap joint, etc. There are many such small things, which with little own contribution the tenant can easily afford to handle. The appearance of this type of faults is due to the fact that something is normally used and has to be normally maintained. “Maintenance” of the property is a use of appropriate cleaning agents, performing periodical cleaning of sewage pipes, cleaning windows and doors, replacement of cartridges in the kitchen hood, joints, rings, etc. What is also a maintenance – an annual review of ventilation pipes and the gas installation and appliances, if the apartment is equipped with it. It is important that the tenant is aware, that if he is not able to cope, or would not know how to fix a particular failure, he should contact us. We have already dealt with most of the things that may happen in an apartment, so we will be happy to share these ideas and suggest some proven solutions. Importantly, the building administration is carrying out the periodic reviews of the existing common installations: gas, heating, ventilation, or electricity, that are under the responsibility of the building administrator. In the event of such inspection, the tenant is obliged to let the inspection into the flat to carry out such control. If for any reasons the tenant is not present at the flat during the inspection, he risks to be charged for organizing an inspection at another time. If there are some small stains on the walls, can the owner charge me for painting the whole apartment? The tenant is obliged to keep the premises in the appropriate hygienic and sanitary conditions. However some stains or traces resulting from normal use are not considered as damages for which the tenant would have to be charged. These are e.g. marks on the walls near beds, tables, hangers, around light switches, some light scratches on the floor near the place where there are chairs, tables, etc. On the opposite, when a child paints a picture on the wall, or if the stains or scratches could by no means be considered as normal use, the tenant has to cover the actual or estimated cost of repairing the damage. The best solution would be that the tenant on his own removes any traces of dirt before returning the apartment. This is why we always suggest a meeting before the end of the contract in order to assess a general condition of the flat and help in assessment of what would need tenant’s attention before the final return of the keys is done. Can I park in the underground garage a car running on LPG (liquid gas)? Very often, internal rules of buildings do not allow parking of cars with installation of LPG in garages and underground car parks, but to be certain and sure you need to ask the administrator of the particular building. When I leave for a long time, could someone from your company water my flowers? Unfortunately, we can not offer additional services such as: watering plants, walking out dogs, feeding cats, etc. – is determined based on the amounts of monthly charges for water, along with sewage, heating and waste collection plus invoices for electricity and gas (if in the apartment). Utilities advance is subject to settlement between the parties based on received invoices and settlements from the building administration. At the end of the contract the final reading of counters are taken into consideration which lets us calculate the cost of actual consumption. This ensures that the tenant will pay only for utilities, which he consumed. – fixed, monthly amount to cover the cost of utilities, determined on the basis of the historical average cost of all utilities such as: water, along with sewage, heating, waste collection, electricity and gas. Fixed utilities charge is not subject to settlement. – remuneration for the landlord for the transfer of use of his premises to the tenant. After having collected the rent the landlord finances with these means different kinds of fees and charges, which are on him, such as property tax, building’s renovation fund, maintenance fees charged by the building’s administration, etc. – calculation of the amount of rent in proportion to the number of days, in which the property is occupied by the tenant; used when the contract is not signed at the beginning of the month. – it is a form of compensation for a delay in payment beyond the date agreed in the contract. The amount of the applicable statutory interest is defined via a regulation of the council of ministers. – it is a form of financial guarantee for the landlord, paid by the tenant in the form of a deposit before receiving the keys to the apartment. Security deposit shall be returned to the tenant within one month after he leaves the premises (statutory deadline), deduction being made of any costs of restoring the premises to the condition of the day of signing the contract. It is not intended to cover any tenant’s montly charges, in particular the last month rent. – These are all owners, whose premises are part of a specific real estate entity (usually one building with its surrounding area). – cooperative is a voluntary association of a certain number of people, with a variable composition and variable share fund, which, in the interests of its members excercises a common economic activity. The cooperative operates on the basis of relevant laws and registered statute. – it is a legal action, the substance of which is a statement of intent of the principal authorizing another person to perform on his behalf legal actions of the mandate. On the basis of this mandate the proxy is authorized to represent the principal in the legal relations with other legal subjects, to the extent specified in the mandate. – are performed to check the ventilation, gas, electricity or central heating. A person equipped with a suitable measuring device checks whether the condition of the installation complies with the rules and is safe and operational. IMMOPOLSKA is a brand of Warsaw real estate market that equals to quality, responsibility and reliability. 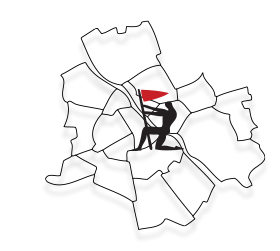 The company has been operating since 2007, initially as a one-man business, and now as a limited liability (sp. z o.o.) company. 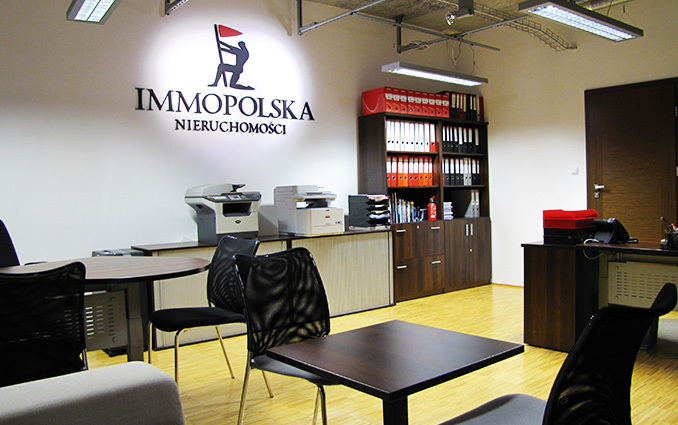 IMMOPOLSKA is a local, independent real estate office, providing property management for long-term lets. 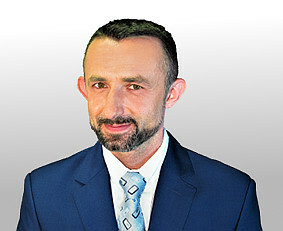 IMMOPOLSKA was founded and is run by a licensed broker and property manager, Rafał Przelaskowski. We operate predominantly in the residential market in Warsaw. The inspiration for the company’s profile of a rental property management comes from the experience gained in Paris, where a large portion of residential property is occupied based on a long-term rental contract. The vast majority of these contracts are concluded on behalf of the owners by numerous property management offices operating on a local scale. For the first year the company IMMOPOLSKA was run in Paris under the brand of IMMOPOLOGNE, providing advice and practical help for the French customers interested in investing in the Polish real estate market, leveraging its high profitability and promising long term gain perspectives. Today, the primary area of our business is property management of long-term rental of flats and houses belonging to both individuals and companies. We cover all districts of Warsaw. We began these activities in October 2007. In parallel, the company managed the 64-flat residential building, which helped us to extended the scope of our experience on accounting specific to a multi-unit property, as well as keeping the maintenance of the large technical infrastructure of a building equipped with devices such as a central heating system, elevators, fire alarm system and a garage with hydraulic parking system. We are proud to offer our customers full mobility and fast response time, which results from our focus on a specific territorial market – Warsaw. This allows us to give time and attention to each client, as well as real estate managed by us. We know our managed premisses in every detail – the configuration and dimensions of rooms, detailed list of its equipment, and often even the neighbours. On behalf of the owner we maintain a personalized contact with each of the tenants, as well as with the people from the administration of the building. For its clients IMMOPOLSKA proposes as well some typical real estate services: intermediation in transactions of sale and purchase, rental housing, counselling, development of scenarios for investment in real estate for rent. The company’s activity is continuously insured against civil liability with regard to our services of brokerage, management and accounting services. The company focuses on long-term cooperation with the landlords, tenants, as well as employees. This allows us to efficiently accumulate experience and provides a stable relationship between the company and the people who it serves. We operate in a small, universal structure, avoiding the high running costs or remuneration of the management or supervisory board. Due to the risk of conflict of interest, the company does not manage the real estate belonging to its team. IMMOPOLSKA is based in Warsaw, ul. Kępna 2 B, near the metro station Stadion. We cordially invite our customers to visit us in our office, which lets us to exhaustively introduce the company and our services. We speak English and French. Rafał has graduated from the Warsaw School of Economics. He is a licensed property manager (no. 18641), real estate broker (no. 9165) and a certified accountant (no. 52627-2011). 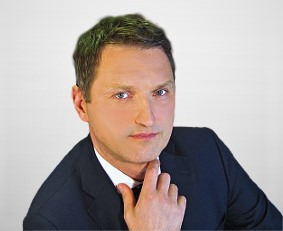 After 10 years of working in corporate culture, he founded in 2006 in Paris his first real estate office IMMOPOLOGNE, which provided consulting and search service to the French investors interested in the Polish real estate market. In 2007 IMMOPOLSKA was established and based in Warsaw. As a property administrator, Patryk is responsible for ongoing supervision of property resources remaining under the management of the company. He is the contact person in all administrative and technical matters for both owners and tenants. He works in real estate sector since 2010, having come in his everyday contacts across a large variety of situations and people’s attitudes. Thanks to his inner tranquillity, self-control and persistence, Patryk effectively faces all everyday problems, which continuously and inevitably are present in his work. Rafał joined the team in 2017 as a property administrator. He is the contact person in all administrative and technical matters for both owners and tenants. Rafał has a technical background, which gives him an advantage in many situations. He is able to listen and understand the heart of the problems that have to be solved in the daily administration of the property portfolio. We respond to your requests as soon as possible, but no later than within 2 working days.